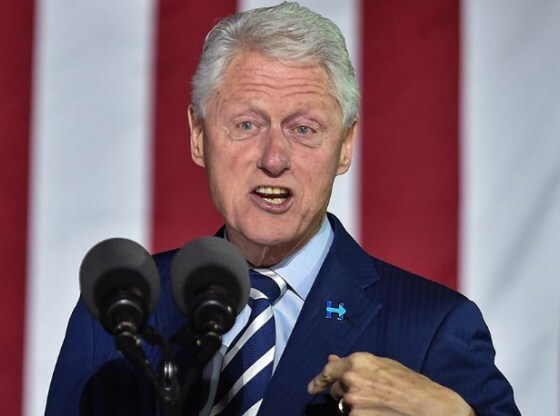 Former United States President Bill Clinton has turned down an invitation by the National Peace Committee to visit Nigeria from February 12 to 13 to deliver a goodwill message at the signing ceremony of the “National Peace Accord in Abuja, hinging his decision on the fact that a visit to Nigeria at this time has the potential to be politicised. A statement by his Spokesman, Angel Ureña, said former President Clinton however looked towards talking to both candidates and former Head of State General Abdulsami Abubakar this week. The peace committee had invited Clinton and the Secretary General of the Commonwealth, Baroness Patricia Scotland, to visit Nigeria from February 12 to 13, ahead of the Nigerian presidential election. Both were billed to deliver goodwill messages at the signing ceremony of the “National Peace Accord” on 13 February. A statement sent to THISDAY on Monday by the spokesman of the former US president said: “President Clinton appreciates General Abdulsalami Abubakar and the Nigerian National Peace Committee’s invitation to travel to Nigeria. He is incredibly supportive and respectful of the Committee’s efforts, of the election process, and of the work being done to try to ensure a peaceful, free, fair, and transparent outcome. This is a crucial time in Nigeria, and President Clinton is hopeful that the election’s outcome reflects the will of the Nigerian people.